I hit Desperate Mom Mode sometime in October when I realized Mikey and Nico love breakfast about as much as I do. (Not at all.) Of course, they would gladly eat Sugar Pop Chocolate Fruit Loops with Dinosaur Marshmallows every day if I let them, but I don’t let them so they’re out of luck. Occasionally I do find a cereal they’ll eat (Gorilla Munch is a go-to), but the bloom fades on the rose fast and I don’t think eating cereal every day for breakfast is healthy. Mikey likes Greek yogurt for days at a time, and then gets sick of it. Nico has a ridiculous gag reflex and yogurt is one of the Red Zone food items, so that’s out. Waffles and pancakes are okay, but not favorites. Toast is a mystery. One day it will be delicious, and the next day it remains uneaten. Eggs are great until they aren’t, and I get that since I’m hot and cold for eggs, too. I met Jessica through blogging. In fact, she is the blogger who invited me to the Shutterfly party I attended in December. It was there she gave me a copy of her book with a promise there wasn’t a can of soup or processed cheese in sight. She was right! So far, so (very) good. There are even quite a few gluten free recipes and three menu plans for bulk cooking that result in 25 meals you can eat throughout the month(s). I already have my own versions of quite a few of the recipes in the book, so what I was looking for was a book that would teach me how to freeze and reheat. I never do either one since I’m terrified of poisoning my family. I take erring on the side of caution to the extreme, so the hand holding is a welcome addition to the book. This cookbook will get us through baseball season. The practices are regular, but the games can be right after school, late at night, 10 days apart or right on top of each other. If you’re not organized, dinner is a nightmare. The first year I floundered hard. We ate late and poorly. Last year I upped my game and came up with a few super fast dinners. This year I want to do one better and have a few dinners ready to pop in when we get home from practice and games. There are some elegant recipes like Lemon Chicken Tarragon, but I’m looking at burritos, soups, chilies, and other meals that take minutes to reheat. Sometimes we don’t get home until well after 7:00pm. Lasagnas are great, but they take 45 minutes to reheat. Purpose: defeated. But I digress. 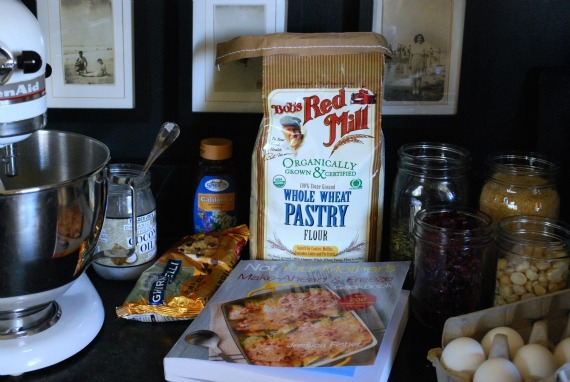 Harvard Common Press is giving away a copy of Not Your Mother’s Make-Ahead & Freeze Cookbook to one reader who leaves a comment on this post. The giveaway is open to anyone over 18 and in the US. The giveaway is open until next Wednesday. I’ll announce the winner shortly after that, probably Friday, and I’ll email the winner, too. 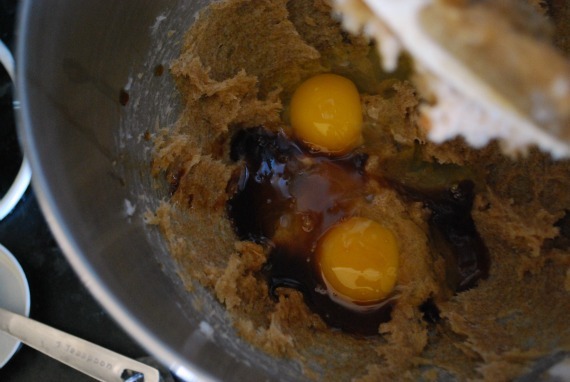 Jessica gave me permission to reprint her Breakfast Cookie recipe. I made it and the boys love it so far. Fingers crossed. 1. Preheat the oven to 350�F. Line 2 or 3 baking sheets with silicone baking mats or parchment paper. 2. In a large bowl, combine the honey, brown sugar, and coconut oil. Blend well. Beat in the eggs and vanilla. 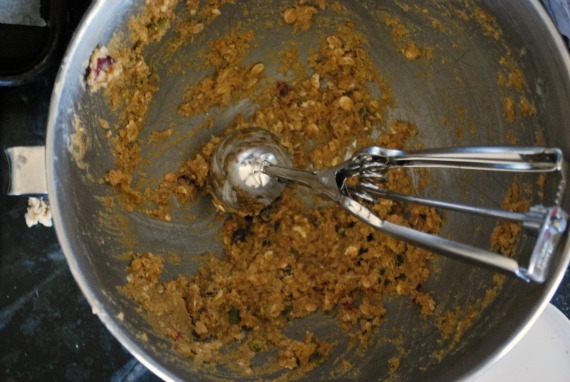 Stir in all of the remaining ingredients. 3. Drop the batter by tablespoonsfuls onto the prepared baking sheets. Bake for 10 to 15 minutes or until the tops are set and golden. Cool on racks. 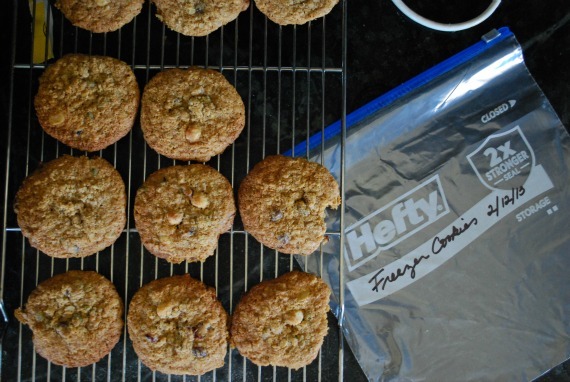 Place the cooled cookies into gallon-size-zip-top freezer bag. Store in the freezer. Cookies can also be packed into sandwich-size bags and then placed in a larger freezer bag, to make them that much easier to grab and go. The cookies thaw in a few minutes at room temperature. Oh man, I wish I lived in the US, I would love to get a hold of that book! In here store-bought Igloo lasagnas (they are so delicious!) are nicely reheated after 15 minutes in the microwave, 25 minutes in the oven I believe. Also, may I suggest a Portuguese Bean Stew, more commonly known as Feijoada in my country? It’s delicious and it can be frozen and reheated in a few minutes in a crockpot and served with white rice. In a few words: best. thing. a. person. could. ever. eat. in. their. life. And btw, Two Peas & Their Pod’s recipes seem yummy, why not give it a try sometime? I think you just saved my life – I can’t really eat breakfast burritos every single day (even if they are home-made). My girls LOVE breakfast, but are “meh” on the other meals. I would love to win! These sound like a must-try! My kids love cereal, but I’m always looking for a better option. I LOVE freezer cooking & would love to add this cookbook to my collection! I’m really interested in the freezing and bringing back to life part of the book. I try to cook meals ahead of time but I must be doing something wrong because they don’t survive the freezer! Thanks for the chance to win this book! I’ve seen Jessica’s book (and site) and was curious. Nice to get an endorsement from someone I trust. We’ve been meal-planning since the new year, and it’s definitely making a difference in how dinner (and groceries go). I might be ready to add a new trick into my dinnertime bag. I don’t do much freezer cooking either, but I’d love to learn how! I’m pregnant with my second kiddo. I’d love to have some help in the “prepping food before the baby gets here” department! Looks good but I wonder how much sugar in the cookies? Does the cookbook have nutritional information for the recipes? At any rate, I also would love for the handholding on freezing. I can never seem to freeze anything without getting freezer burn. I am not a lover of breakfast myself, and neither is my son…next year he will be dropped off at school around 7:00 a.m., and I have no idea how I will get him to eat anything that early, let alone prepare it. So I am all for anything that will help me prepare decent food ahead of time and cut down on the morning/evening chaos that generally surrounds our meals. Oh, these breakfast cookies sounds delicious! Hi, We are a family of 2 adults. No kids at home anymore, but we are still busy every night of the week except Wednesday! I’ve never been afraid of poisoning us (LOL) but I do forget stuff in there until it’s freezer burned beyond recognition! Love the idea for individual ready-wrapping the cookies to grab and go. Jules, these pictures are TORTURE for Ash Wednesday morning! I’m holding off until lunch when I’ll eat an orange and a handful of crackers (mostly because I won’t eat dinner after 8 due to an ill-timed meeting), but I want to scarf these up so badly right now! I’d be interested to see which of the recipes were easily adapted to vegetarian cooking, but my little sister bought a chest freezer a few months ago, so I’d quickly peruse and take note of anything of interest before passing the book on to her, should I win. One of the nicest things about cookbooks is my kids can use them. Just this week very big brother came home (he’s 24) and youngest sister (age 11) made him oatmeal cookies. She even decorated them to say Welcome Home, one letter to each cookie. So winning a winning cookbook would be great! This sounds like an amazing book and I’m definitely making those breakfast cookies this weekend. Thanks for sharing this book. The last few days have been crazy at my house, and I relented and let my husband bring home food two nights in a row. It would have been great to have something in the freezer to pull out and heat up quickly. I’d love to win a copy of this book. ..I need to do more freezer cooking. thanks for sharing the recipe. I’m into breakfast cookies, as it would be nice to have portable breakfast option for my late sleeping kids, and granola bars tend to be pricey. 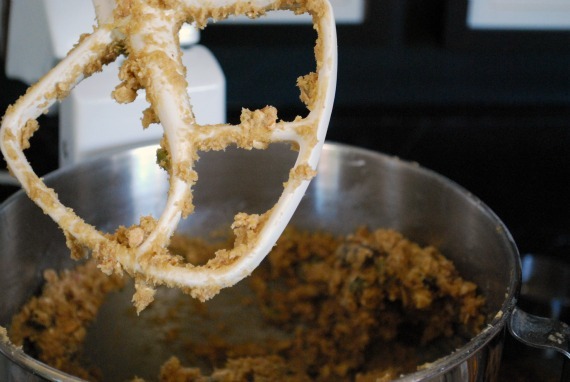 Hadn’t thought of batch making breakfast cookies and freezing them. I did make a batch of breakfast cookies the other day, and used mashed bananas for a lot of the sweetness, so I only needed a little honey. This book sounds great! Even if I don’t win I might give it a try … We’ve just about used up our freezer stash that we prepared before our baby was born and now I’m looking for quicker recipes to fill it back up with. With a three month old I’m just not back to cooking dinner multiple nights a week and we are suffering! Yum, those sound great! I don’t have kids, but just getting my bf and I fed every night is a challenge. Holla! I’m excited about this…if I don’t win, I’ll probably go buy the book anyway. I’ve been looking for EXACTLY this book. When I was nesting right before I had a baby last April, I cooked and froze absurd amounts of meatballs, muffins, soup, and miniature meat-loafs to get us through the newborn stage. It was heavenly to not have to think about what to cook, but it got monotonous and I’d love some more ideas. I’m always looking for inspiration in the kitchen. 5 hungry boys will do that to a girl! You had me at “cookie”! I would love to win one! I need all the help in the kitchen that I can get. Oooh, and I just got a deep freeze in my back apartment! Yum! 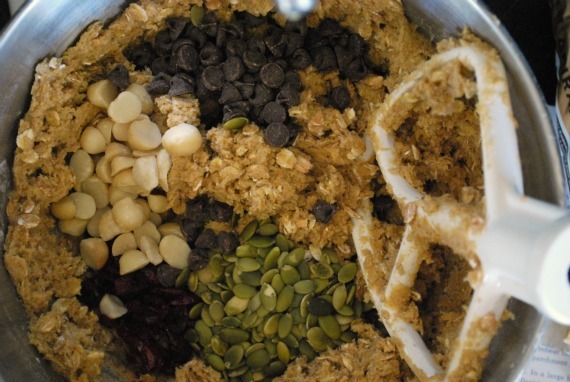 I have been looking for a good “granola” recipe! Cookies for breakfast – awesome idea!! I’m with you on breakfast foods, so this is a great idea and I’m definitely going to try it! this looks amazing! i’ve been looking for a way to liven up our eggs and toast or waffles rut. thanks! Sounds like a great cookbook for two working parents with a toddler and an infant! Thanks for reviewing this! Love this idea! It seems the time I have to cook (minimal) is in no way related to the times we want to eat – freezing and reheating would be ideal! We struggle with breakfast too! I’m stuck in a rut of “meals to fix quickly after a long day at work”, so some new recipes and ideas would be more than welcome! One of those cookies looks better than the piece of toast I usually choke down. 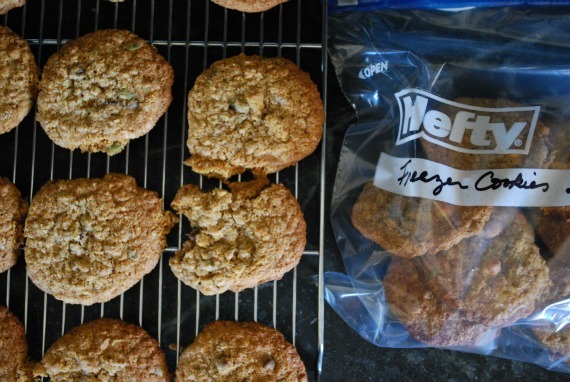 Freezer cookies might be the answer to my breakfast dreams! I love eating dessert in the morning. In fact, it’s about all that appeals to me. I rationalize I have the whole day to work it off, which is true. I need something I can grab and go and these are a more nutritious version of what I tend to go for. The cookbook sounds awesome! I’ve done a lot more freezing this past year due to participating in my first CSA but I’m sure there are better ways than what I’ve done. Oh wow these look/sound delish!! Cannot wait to try them!! I need some meal planning! We have the same issues with soccer practices during the week, and the spring season arrives soon. I need something to pump up my canned soup w/ quesadillas or panini repetoire! And every time I flip through a slow cooker recipe book, I get frustrated. woo hoo! I hope I win! Would love to have this cookbook! I am always wishing I planned ahead when we travel to have a meal waiting for us in the freezer when we return. I also have lots of friends that are having babies this year. It would be great to have a collection of recipes that I can make to give them. I’ve been eyeing this book for a while – I definitely need help thinking creatively about freezer cooking. I love the idea of having meals prepared in the freezer, but, like you, I worry that I could goof it up and poison us all. This cookbook sounds like a great find. This book sounds wonderful! I’d love to be a little more regular with cooking at home, and I think this would be hugely helpful! Ugh. My oldest is the same way about breakfast; we’re eight years in and it still surprises me just about every morning. And stresses me out, because he just doesn’t eat much in the morning, so I feel like I need to pack a lot of goodness into whatever it is before I send him off into the world. One of my goals this year is to have meals prepped ahead so that I’m not rushing around each and every day trying to throw something together. This book sounds promising! Thanks for the recipe…sounds great and I’ll be trying it. 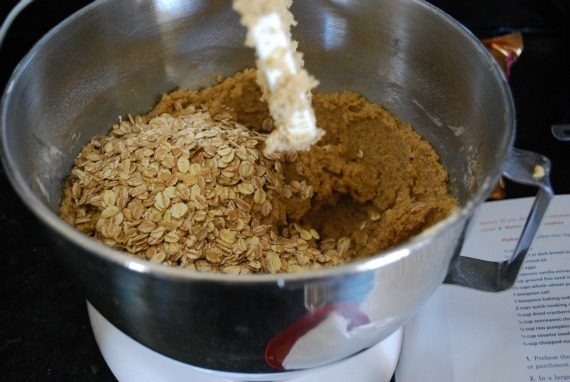 I’ve been making homemade granola bars to great success but I would like to make something different before my boys tire of them. I’d love to win that cookbook! 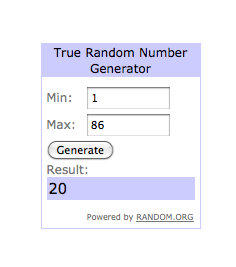 If I don’t win the giveaway, I’m pretty sure I’ll buy the book anyway. With our nutty work schedule plus swim team and piano and community theatre and various unscheduled craziness, I forget to cook entirely and the Babe and the Gentleman will end up with pb&js for dinner. Her book has been on my wish list for a while…thanks! This cookbook seems like a God send! We are totally struggling with dinners right now- eating pizza and fast food way more than is remotely good. The cookie recipe looks good, too, particularly since I’ve been sleeping an extra 10 minutes instead of eating breakfast. oops. Oh! I was getting ready to buy this then realized there’s a giveaway. What a happy surprise! I feel like we’re on a constant rotation of chili, jambalaya, and chicken corn chowder. I’d love some new ideas to put in the mix. I became a freezer meal person in my single days (cook one meal, eat it for days) and perfected it after our move to such a rural area. Meat is so expensive out here, when I find it on sale I’ll stock up and pre-cook or pre-portion it out. Then the stock from cooking gets turned into soup which also goes in the freezer. Produce is also exceptionally difficult to find, so I’m constantly on the lookout for things I can buy fresh, chop up, and freeze for later. Obviously, I’m not in the US, so if I win, pick another name! I am familiar with the crazy randomness that can be sports scheduling, and one thing that’s saved my hide repeatedly is my Slow Cooker/Crockpot. We always had 24 hours notice for games, which was enough time to find a recipe and ensure I had all the proper ingredients. Then, pop everything in the cooker in the morning, flip it on, and Bob’s-yer-uncle…dinner is done with minimal effort, AND you don’t have to be around a stove/oven/whatever all afternoon! Have to eat at 6? Great, dinner’s ready!! Have to eat at 8 when you get home? Great, dinner’s still warm in the slow cooker! My Slow Cooker is SUPER basic, but there are ones that you can program to cook for a certain number of hours, then either turn off, or flip to the “keep warm” setting, so you don’t ever have to worry about overcooking/drying out your food. And the variety of things you can make is amazing- it’s not just your typical soups/stews/chilis anymore! You give the best recommendations for recipes & cook books too! Would love to win this, if not – just might have to buy it after trying out these awesome cookies! I’m always looking for quick, nutritious and if possible- easy recipes! PS- saw this today. Have you tried it? I’m totally intrigued. YUM!! Cookies for breakfast, I’m sold! :) We will have to whip up a batch – thanks for sharing! oooh, yum! I’m soooo not a breakfast person either, and my girls are hot and cold on lots of different foods as well. Of course, they would gladly eat pancakes for breakfast any day, but I’m not about to make pancakes at 6:30 am. Gonna have to try these cookies. I would love to win the cookbook! With a baby on the way, it would be awesome to fill my freezer with food that I wouldn’t have do to much thinking about. My pregnancy brain is getting a bit ridiculous! We are the opposite! Everybody here loves breakfast, but struggle to come up with meals night after night after night. The freezer and slow cooker help, but the constant effort of trying to balance healthy, budget, variety, and people-pleasing makes me tear my hair out sometimes! My lack of culinary skills doesn’t help either. :-) It sounds like a great book! What!? This giveaway is right up my alley! I have a bun in the oven and need some great freezer meals to make now in order to sustain my family through the early months of infancy, where I basically stumble around in a baby haze. This looks amazing. I think I’ll be ordering a copy of this book for my parents who recently lamented they need to figure out how to streamline dinner since they need more sleep (don’t we all). This looks and sounds great. We cycle through the same four things so it would be great to have some new things to try. I’d love to win this cookbook! I too am weirded out about freezing cooked food, for all I’ve heard people say it’s no big deal. Say, on the second and third ingredients–how much? Are those in cups? We just moved to a new city and I just started a new job so help with freezer meals would be great!! This book looks great. I’ve been trying to do more freezer cooking, and would love some more ideas. Jessica’s cookbook looks amazing! I would love to win a copy. We’ve hit the a period of nonstop, dizzing afterschool activity, and this cookbook might be a lifesaver. Just wanted to pop in and say you don’t have to give up on lasagne if you’re prepared to cut it in small slices before you freeze it. When I used to make vegetarian lasagne that sliced very well, and would defrost in less than five minutes per person. Might not work for your lasagne/family of four, but thought I’d mention it. I will definitely making these cookies and can’t wait to try out other recipes! I’m with you on the totally having no idea how to make and freeze. I would love to get my hands on Jessica’s book. Those cookies look delicious, by the way. Hope they ease your breakfast troubles. What a marvelous recipe; I can totally do that! I would love that book and one of those cookies! I hate to eat breakfast, unless breakfast is two cups of coffee. These are awesome! What a great, quick way to give kids (or adults!) a nutritious breakfast! I live alone and tend to eat out a lot because I don’t like to just cook for myself. I’d love a book with good recipes that can be made in advance so for those times when I fell like cooking, I can make a whole bunch for the rest of the time when I don’t. Yes, please! This cookbook sounds like exactly what I need. My 4 year old isn’t the biggest fan of breakfast either and I feel like it’s a constant battle to get him to eat before he heads out the door for pre-school…. hopefully he’ll take to these cookies. 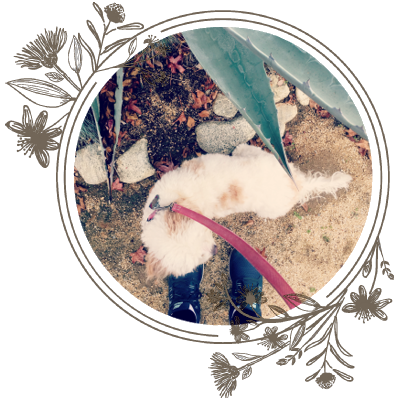 I love your blog… it’s always so upbeat and positive that it helps to counteract all the negativity out there (especially on the web). Thanks for sharing. Those look DELISH – how are they? Thanks for the recipe sharing. Will def try it out! I have done freezer meals for years and never once thought about “poisoning my family” – fortunately they’re all grown now so I must have done OK! I still use the ideas OFTEN though, because even 20-year olds somehow expect dinner on the table when they get home – I know they’ll be in for a shock when they move out into the cruel world (and maybe I’ll send this cookbook with them!!) but I enjoy cooking too much to break the news to them that dinner didn’t just magically fix itself while the household was at work/school/sports. Even freezer/batch cooking for 24+ years, I still am always looking for new ideas – some items stay in my rotation forever, some have come and gone over the years …..and it’s time to mix it up a little, again!! I could so use this book. I love freeze and reheat meals. Our family has saved so much money. Even if you buy the more expensive organic ingredients its still cheaper than going out. Plus there are usually leftovers. There are times when I wonder how I ended up with the only children on the planet who don’t eat cereal, and other times when they spurn my eggs and go for cereal. Luckily, I have kids who are just as happy eating reheated dinner leftovers for breakfast as eating muffins I’ve baked that morning. Unless they love cereal, and I get a good deal so I buy a ton of it, then they hate cereal and I get to share with the Food bank. 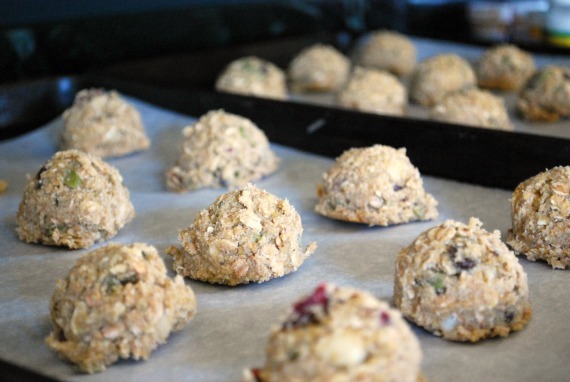 These breakfast cookies sound pretty good, though I don’t have flax meal or pastry flour–I’m good at adapting though. Thanks to both you and Jessica! I’d love to win! One of my kids is gluten-free and we all need healthy fast food! I have one child playing volleyball and one finishing basketball and starting baseball. This recipe book sounds perfect! Great giveaway! I’d love to get a few good freezer recipes in my recipe book! I’m 7 months pregnant and want to freeze up a bunch of gluten free meals to get me through the first newborn weeks. I’d love a copy! 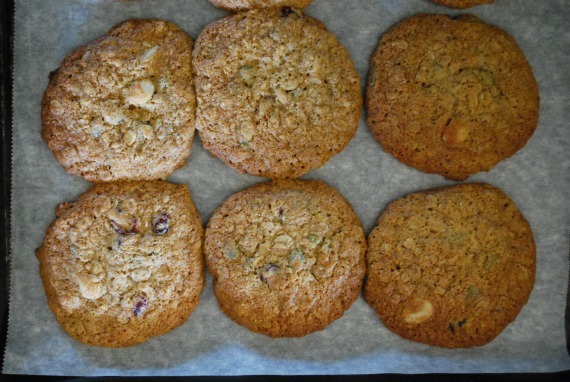 Nice take on oatmeal cookies. My personal preference is to leave out the pumpkin seeds and add walnuts. Then eat the pumpkin seeds separately. I’d love a copy of this! I started volunteering and my life has suddenly gotten quite hectic. I have been thinking freezing some meals would be just the ticket! Sounds like a very useful cookbook. I was actually thinking about quickie breakfast options…sad to say that I, as an adult, still find it impossible to wake up an extra 5 min to eat breakfast sitting down. Hence the need for breakfast cookies. These look delicious…I’ll be making these soon for sure. They’d make great afternoon snacks too. I enjoy freezer cooking and disdain cream ‘o anything soups…I’d love to win this book! Wow, these would be a hit with my kids! Looks like a fantastic book! I loooove cookbooks, and I feel the same way about freezing stuff as you. I’m afraid it will end up freezer-burn or meat will be tough or tortillas will be soggy. This sounds like a great resource! longer. Combine Eggs, milk, cinnamon and vanilla in large bowl. fireplace. A new year is not only a time to get our lives in order, but also our homes.